Do you have your student ID card yet? 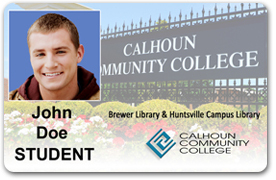 All new and returning students are required to have a valid Calhoun Community College student ID card. 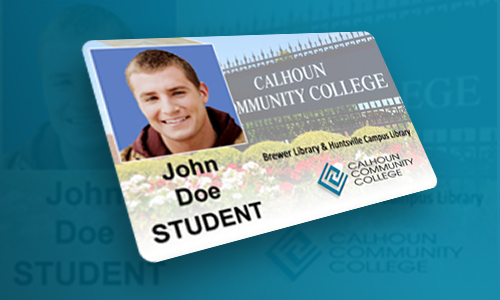 Students must present a copy of their printed class schedule indicating that they have been financially cleared to be eligible for a student ID card. Replacement costs for lost or stolen ID card is $20. Must be paid to cashier and then receipt presented at the ID location.